There are 5.4 million people who work in the public sector, including members of my family – as I did for many years. They provide services that are crucial to the good running of the country – services which we invariably barely notice until things go wrong – traffic problems, floods, weather damage, public health emergencies and much more. Unfortunately we have had the hardest summer that many of us can remember, when our emergency workers and our other public sector workers have faced the horror of terror attacks and the outrage of Grenfell. As the country suffered, it is public sector workers who stepped forward. These are the people who we turn to when every one else is not available. These are the people who save lives, help to bring life into the world and are there when we leave it. And yet, while they gave their all for us over these hard months, they knew that the Conservative government remained committed to capping their pay and continuing with the real terms pay cuts which they have unjustly faced since 2010. Yesterday Number 10 was briefing that the pay cap was over. Chief secretary to the treasury, Elizabeth Truss was on the radio announcing derisory offers to police and firefighters but when the reality of this supposed u-turn emerged, there was nothing tangible. In the case of police just a 1 per cent “bonus” on top of what they were due to get and for prison officers a mere 1.7 per cent. As ever, the Tories continue with their cynical divide and rule manouveres – attempting to set one group of workers or staff against another; the public sector against the private sector; the doctor against the manager; the admin worker against the manual worker; the British worker against the foreign worker; or the north against the south. It is a cynicism that Labour wholeheartedly rejects. If the government paid as much attention and focus dealing with tax dodgers we may not be in as bad a situation economically that they have got us in. Even as the Tories have wringed their hands about the constraints of resourcing, they can easily find over £70 billion for 5 years of tax giveaways to corporations and the wealthy. Labour’s fully costed manifesto set aside the money to free the pay review bodies to do their work, and showed how to pay for it. It is now clear that it is way of over time for ALL public sector workers to get the pay rise they deserve and that only a Labour government will deliver. 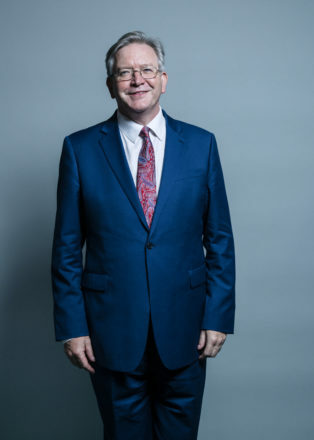 Peter Dowd is shadow chief secretary to the treasury.